So, someone has been getting on your nerves leaving you messages Anonymously? Well, fear not. 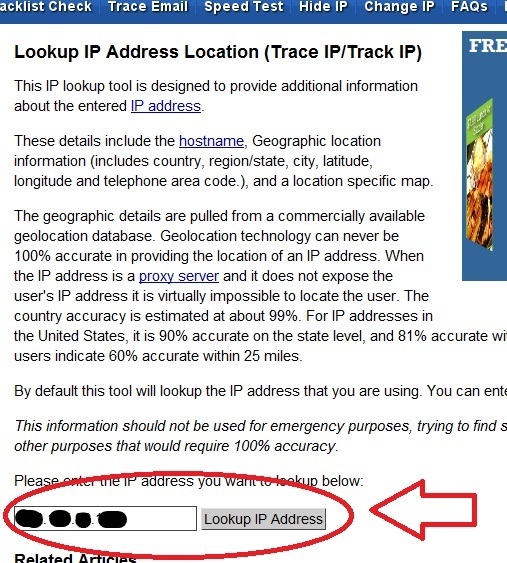 Using this method, you can view their IP Address. This can help you figure out who they are! This works for anyone sending you messages, Anonymous or not. The highlighted (and circled) numbers are the sender’s IP address! Congratulations! You can now find out the IP Address of anyone who sends you questions, Anonymous or not. Again, this can be very useful if you need to figure out who somebody is. It’ll tell you were the person lives. Anonymous person . I would like to view their location, so, i use WhoisXY.com to get their ip details. But, i have found only that ip's corresponding ISP details only . Unfortunately, u cannot find their ip address. U have to contact the developer. If u meant by curioucat.me that's the case. curiouscat.me hide's the anonymous' ip address. Is there really no way to find out who sends them?